Have you ever wanted your emails or notes on iPad/iPhone to be read to you while you are preoccupied with something else? Wouldn’t it be useful to have some online article read back to you in Safari, thereby, enabling you to relax your tired eyes? 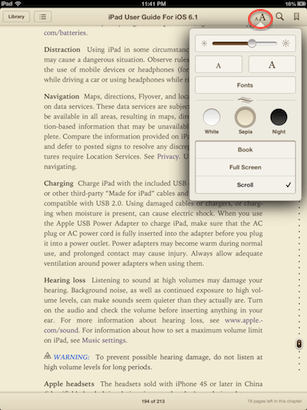 Even, if your purchased ibook is not an audio book, it would be wonderful to have the text in the book read aloud. 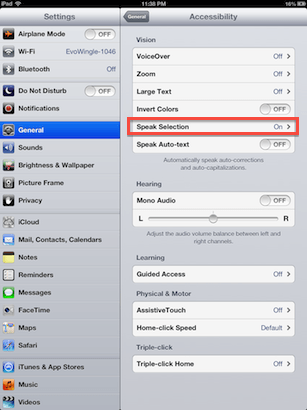 Speak Selection is a very useful feature of iOS that, once enabled, makes your iPad/iPhone/iPod Touch read aloud highlighted text in Safari, Mail, ibooks, Notes and other apps supporting this feature. 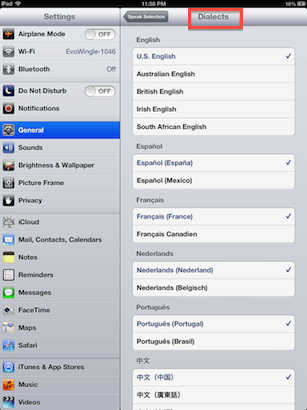 Disabled by default, it can be activated through the Settings app on the home screen of your iOS device. 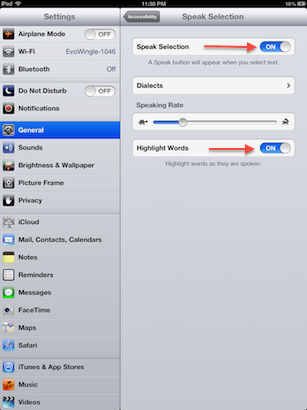 Turn on Speak Selection and **Highlight Words. **Highlight Words, as the name suggests, highlights the spoken word. The Speaking Rate can also be adjusted from this screen. With Speak Selection activated and customized, open any app where you want the text to be read back. Select the text and select Speak. You’ll now hear your selected text with your customized settings. The Speak button now changes to Pause that can be tapped anytime to stop listening. Tip: If you tap some where else on the page, while text is being read aloud, the popup consting of Speak/Pause menus will go away but the text will continue to be read back. To bring back the Pause menu, simply select any text again. 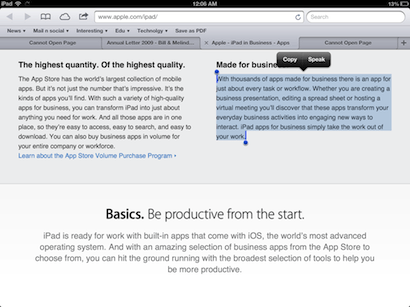 I’ve found Speak selection to work in Mail, Safari, Notes, iBooks, Pocket, Foxit PDF among other apps. Tip: If you want a book in iBooks to be completely read back, without selecting text on each page and tapping Speak, turn on the Scroll mode by tapping the AA icon -> Themes-> Scroll. 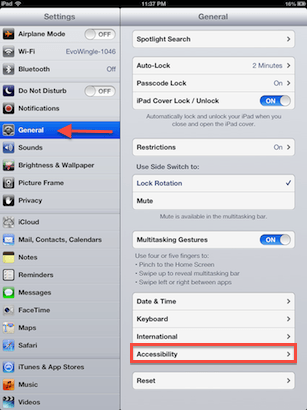 The accessibility section of iOS consists of some great options for enhancing the overall user experience. For text to speech, I personally prefer the Speak Selection feature over the Voice Over option as Speak Selection, unlike Voice Over, doesn’t change the default iOS gestures.